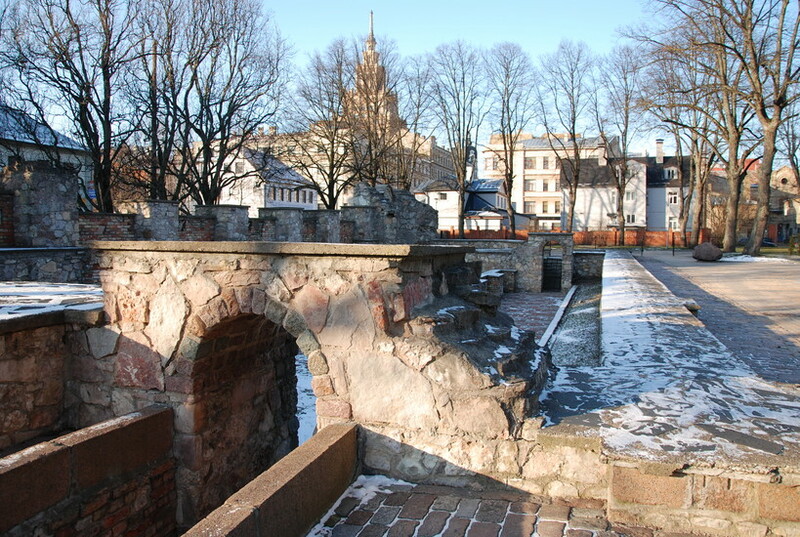 Although the colossal synagogue no longer exists, it's worth the 10 minute walk from the train station to see what remains of this one-time place of worship and to meditate on one of the most beastly crimes committed during the Nazi occupation of Latvia. 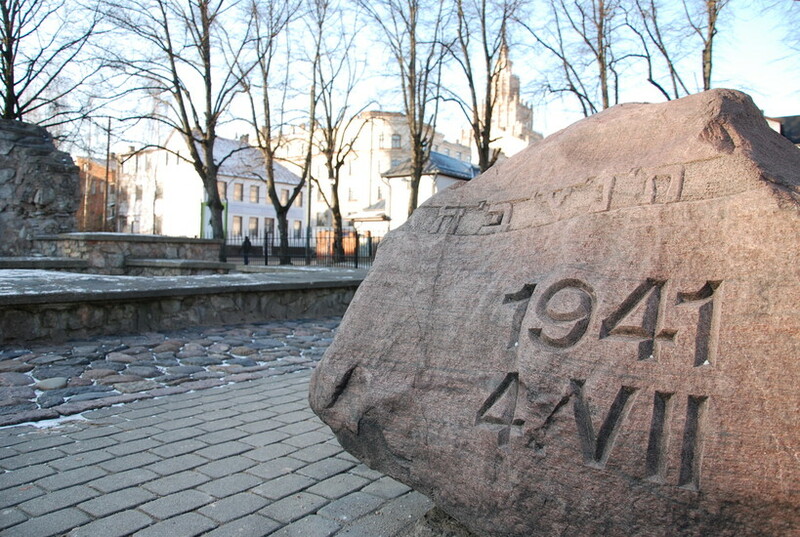 On July 4, 1941, hundreds of Jewish refugees from Lithuania and local Latvian Jews were herded into the basement of the synagogue which was then intentionally burned to the ground. 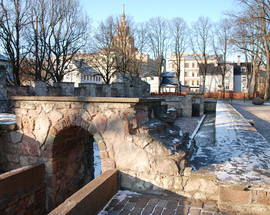 Only ruins, a metal menorah and a memorial stone remain. 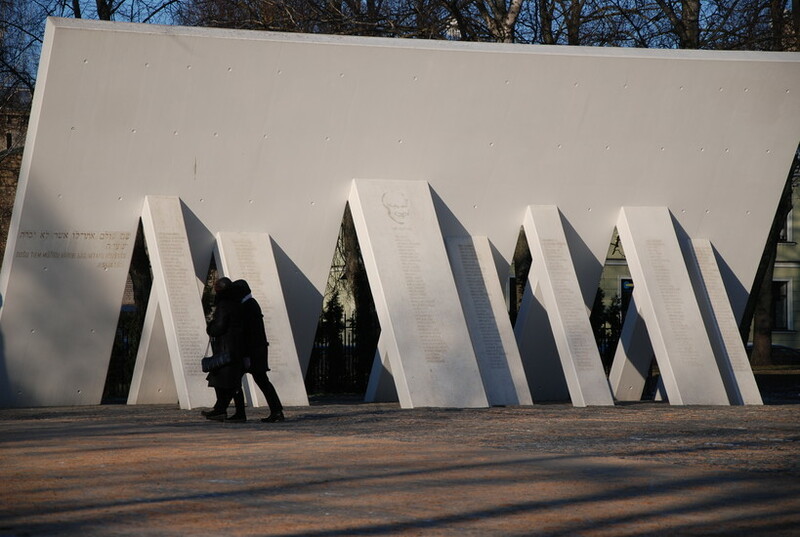 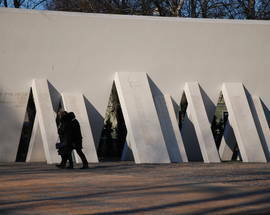 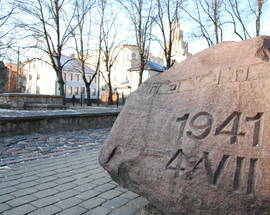 A memorial to Žanis Lipke and other Latvians who saved hundreds of Jews is located next to it.